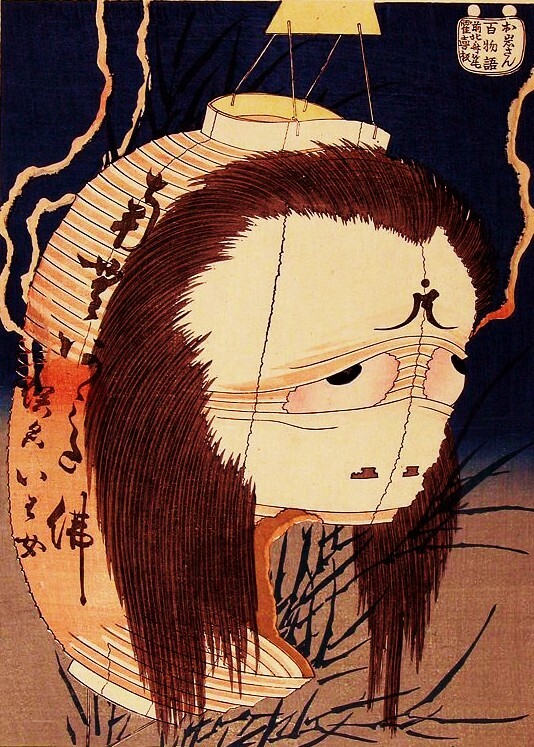 On the 4th of May in the 7th year of Bunka (1810), a peasant farmer from the town of Toneri named Bushu Atachi was surprised when more than eighty bamboo shoots spring up from his bamboo thickets. The shoots were almost 2 shaku (2 feet) in length. 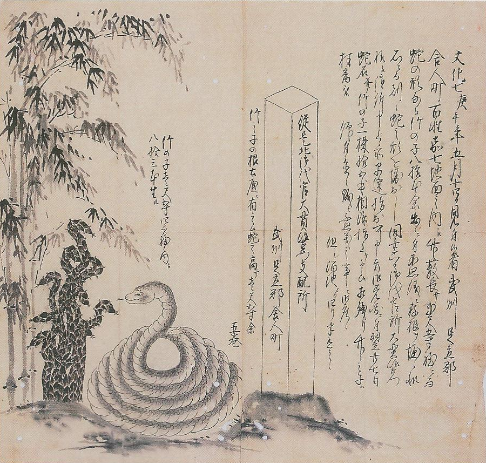 However, the true mystery of the bamboo shoots was how they formed the shape of a snake. When Bushu’s daughter went to harvest the bamboo shoots, she also discovered a snake-shaped rock in their midst. Bushu was afraid of the snake-shaped mysteries, and lodged a complaint at the local magistrate’s office. The following day the magistrate came and removed the snake rock and five of the bamboo shoots that were attached to it. The remaining bamboo shoots were given to the town mayor. Toneri is a large town, with a reservoir and four villages.